Hungarians have taken to the streets - now will EU act? On Wednesday (30 January) the European Parliament will debate rule of law and fundamental rights in Hungary. This debate takes place more than four months after members of the parliament voted that there was a clear risk of a breach of the EU's founding values in Hungary, triggering Article 7.1 of the EU Treaty. 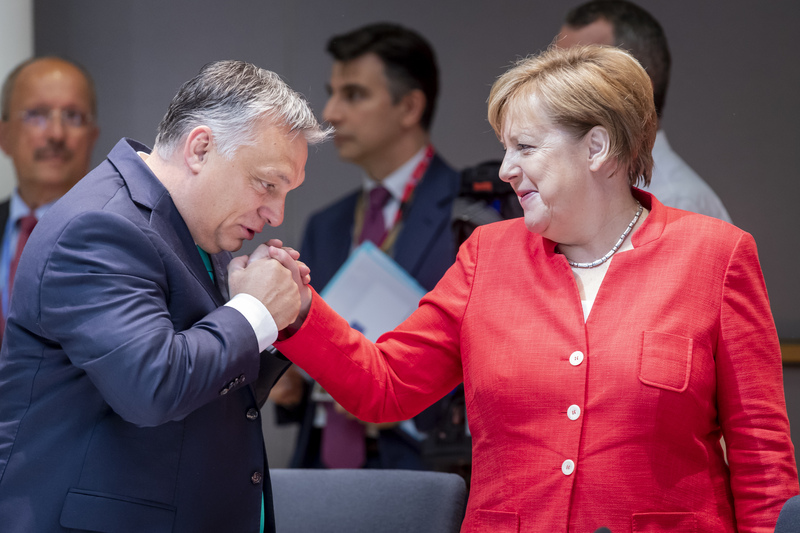 This decision to activate political scrutiny at EU level over the Hungarian government's reforms is a turning point for the Union after eight years of alarm bells ringing. 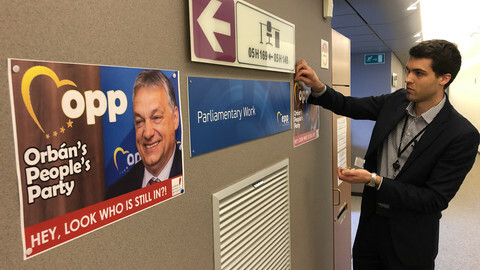 Since then, the European Commission and parliament have continued to criticise measures by the Hungarian government, but the Council of the European Union - where national ministers from each EU country meet to adopt laws and coordinate policies - has been noticeably silent since the Austrian presidency put the issue on the agenda last year. Meanwhile in Hungary, the situation continues to deteriorate, with the government reducing media pluralism, freedom of NGOs and workers' rights. So what's happening at the council? News reports suggest that at council meetings, diplomats have grappled mainly with procedural issues, avoiding their political responsibility to examine the situation in Hungary. Romania, who currently holds the EU presidency, shows no inclination to progress the issue either. Not only does this damage Hungary; it weakens Article 7's impact. This mechanism was designed to address cases where an EU institution believes that the risk of a serious breach of EU values warrants political action. Lack of political will in the council shows a reluctance to take this vital procedure seriously. This sends a message to member states violating EU values – you too will be let off the hook. The commission has urged member states to start seriously examining the situation in Hungary. 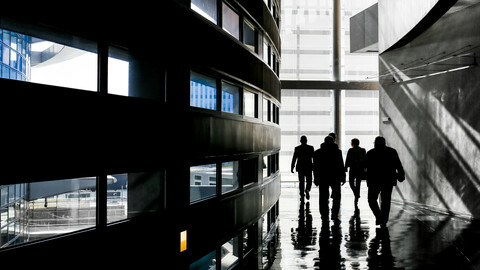 One suggestion from the commission as a first step, is that the council hear directly from international and European organisations such as the Council of Europe's Venice Commission on rule of law issues or the Organization for Security and Co-operation in Europe (OSCE) on democracy. 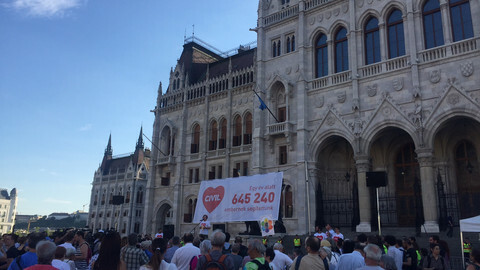 One argument put forward to justify the council's inaction is that it is ill equipped to respond to challenges to rule of law under article 7; that other instruments would be more effective in calling Hungary to account, such as conditionality of EU funding or regular peer review. However, it is paramount that the EU exhaust the opportunities of the Article 7 procedure before considering alternatives. 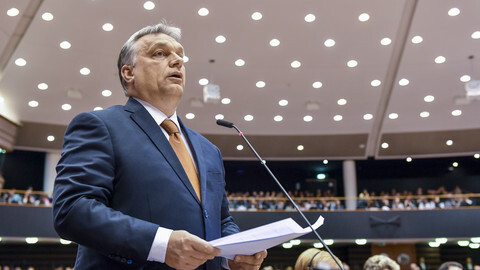 September's vote has not chastened Hungarian prime minister Viktor Orban. 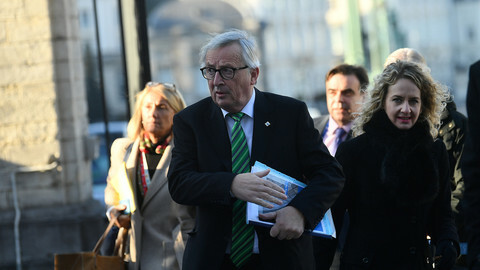 If anything, he has pursued illiberal measures with even greater zeal, with changes to labour laws, further limitations on press freedom and the right to protest, the closure of the Central European University in Budapest, and a host of human rights violations. 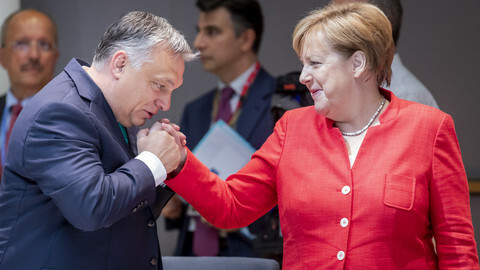 At the end of November, around 500 pro-government media outlets in Hungary announced a merger in a single umbrella group owned by a close insider of the Hungarian prime minister, with the aim of preserving "national values", giving Orban almost complete control of the press. In December, Hungarians took to the streets to protest the government's amendments to the Hungarian labour code, known as the 'slave law', allowing companies to increase workers' overtime. Four opposition lawmakers were assaulted at the state media headquarters while voicing opposition to biased media coverage of the protests. The smear campaign against Georges Soros and his alleged network, including organisations providing legal assistance to refugees and the CEU, was extended to include those protesting against the labour law, all accused of plotting together to support migration. There is some appetite to pursue disciplinary action against the Hungarian government. Reports from the December general affairs council meeting indicate that nine member states spoke strongly in favour of continuing the Article 7 procedure, including Finland who will assume the EU presidency in the second half of the year. 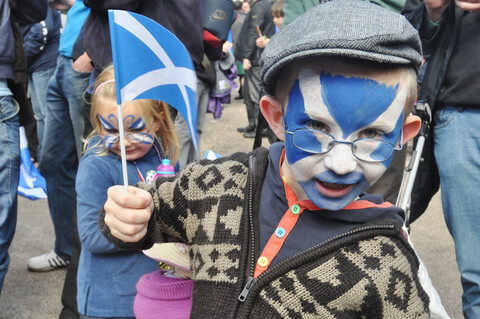 The question stands – is there enough political will to move this forward? Today's parliamentary debate may prove to be a wakeup call for the council and the Romanian presidency in particular. A public declaration and commitment from Romania to get the process followed by substantive discussions at the general affairs council in February would be welcome. The Hungarian people have taken to the streets in defiance of their government's assault of democratic norms. This should give the EU leaders courage and motivation to act. 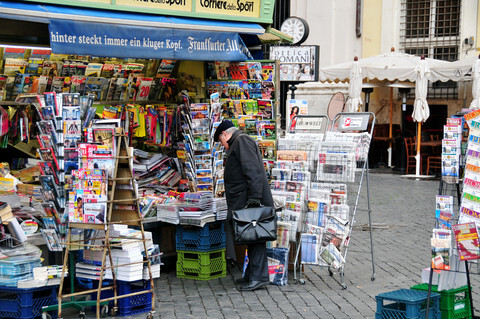 They owe it to Hungarians - who are denouncing attacks on freedom of the press, the judiciary, academia and civil society organisations – to act now. All governments should come out strongly and publicly to defend European values and democratic principles.